'GAME OF THRONES' Director In Talks To Helm 'THOR 2' for Disney & Marvel Studios! Thor took $437 million worldwide, a sequel was inevitable despite the movie needing one or being a critical success but luckily for us it was a case of both. 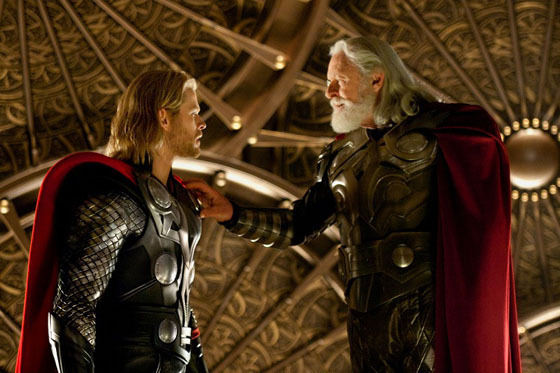 Disney Pictures & Marvel Studios have set a July 26th, 2013 release date for 'Thor 2' & have also stated that Kenneth Branagh won’t be returning to direct. Today Variety report that Brian Kirk [Game of Thrones, Dexter] is in talks to direct the sequel. Chris Hemsworth will reprise his role as the title hero. I'm reading: 'GAME OF THRONES' Director In Talks To Helm 'THOR 2' for Disney & Marvel Studios!Tweet this!